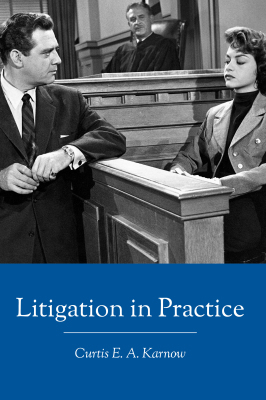 Link to Harvard Law Forum Review of Publication! 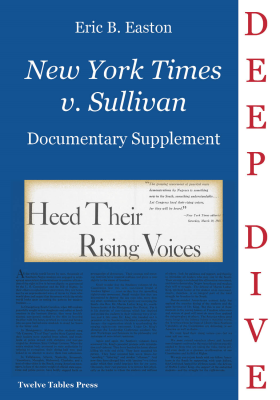 New York Times Co. v. Sullivan 376 U.S. 254, is a landmark United States Supreme Court case that established the standard of libel, allowing the continued reporting of the civil rights campaigns in the United States during a time of great change in the rights of black individuals. This landmark decision, taught in every law school, is presented as part of the Deep Dive Series which provide the key edited documents of the trial from complaint to the Supreme Court, along with a narrative that highlights the turning points in the decision. 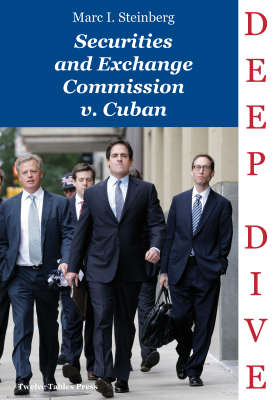 Each publication in the Deep Dive Series provides the actual edited transactional documents, patents or briefs, pleadings, motions, providing a learn by viewing context, its procedural and strategic components in the practice of law, and how one case can change the law forever. 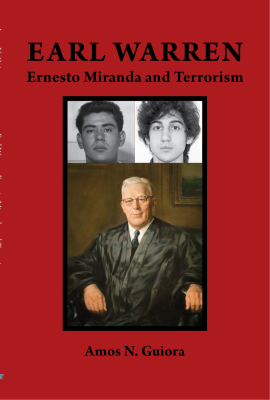 Would Chief Justice Earl Warren apply Miranda v Arizona to terrorists today? This is not a biography of Warren; that task has been admirably accomplished by others. In inquiring whether Warren would apply Miranda to terrorism requires that we travel back in time to answer the question posed. The fact that President Obama and Attorney General Holder could not agree highlights the complexity and controversy of the issue. The question is brought to the fore after every act of terrorism committed by an American on U.S. soil. 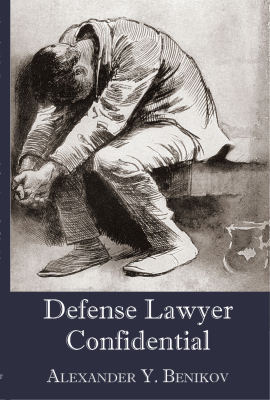 Defense Lawyer Confidential gives unique insights into the criminal defense world, sharing examples of the day-to-day as well as the underlying passion in representing individuals accused of a crime. In a world where people call the police on themselves for drunk driving, challenge prosecutors to drinking contests while testifying, and stab people in the head with forks over food disputes, this book gives a glimpse into the U.S. criminal justice system through stories and experiences of one criminal defense lawyer who lives in both academics and the street. Some of the stories are funny, some are tragic, but they are all true. 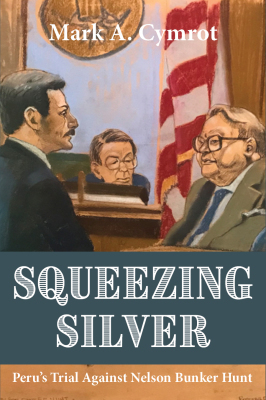 Anyone that has ever wondered what it is really like to be a criminal defense lawyer will enjoy this book. This book doesn’t try to glamorize or demonize prosecutors; the cases, anecdotes, and experiences speak for themselves. This book shows emphatically that the prosecutor is the most powerful official in American government. As a former prosecutor, the book is written in an attempt to help anyone interested in criminal law understand how the prosecutor uses, and misuses, this extraordinary power to convict wrongdoers and vindicate the criminal law system. 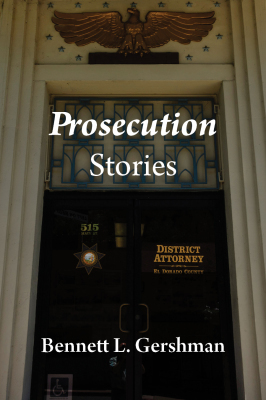 These stories illuminate the many roles that prosecutors play, well beyond the familiar charging, plea bargaining, and litigation functions. In the end, my hope is that these stories may contribute to a better understanding of the prosecutor as a special guardian of justice. Growing up in a Depression battered family, one tangled by a mortal secret, With Passion tells the improbable story of an unsung hero of the civil rights movement who thought of himself as a “miscast” lawyer but ended up defending peaceful protesters, representing Mohammad Ali, suing Robert Moses, counseling Lenny Bruce, bringing the case that integrated hundreds of Southern hospitals and named “the principal architect of the death penalty abolition movement in the United States." 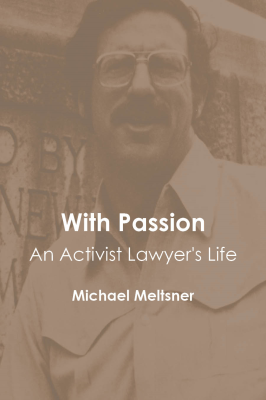 More than a meditation on often-frustrating legal efforts to fight inequality and racism, Meltsner—also a novelist and playwright-- vividly recounts the life of a New York City kid, struggling to make sense of coming of age amidst the tumult of vast demographic and cultural changes in the City. For almost seven decades Jack Greenberg fought for justice, firmly establishing himself as a legend in the legal community and beyond. 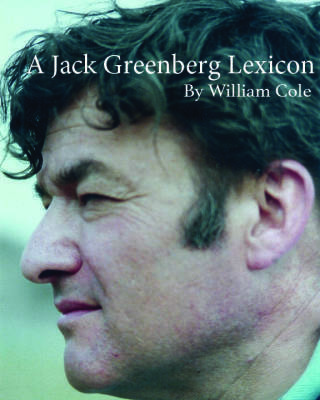 This highly original book, by Greenberg's adopted son, William Cole, is part biography, part memoir, part reference book, and part photo album. It includes substantial, heretofore unpublished documentation and about 150 photographs. It brings together the disparate elements of Greenberg's life and character with insights, scholarship, and humor. Author of Rutter’s Civil Procedure Before Trial (West/Thomson Reuters), Superior Court Judge Curtis E. A. Karnow’s Litigation in Practice provides invaluable tips, court room strategies and helpful insights of the trial process, with a no-nonsense writing style, offering “court room do’s and don’ts” that every new trial lawyer and student needs in understanding that “law is what happens in the courtroom.” Other sections provide advanced practical guidance for settlement, case management, using case precedent, and expert testimony. Judge Thelton Henderson, Senior Judge of the Federal Circuit for Northern California, began his legal career with the Civil Rights Division of the Justice Department in 1962. He was the first African American Justice Department attorney to work in the South, where he became an important liasion between the Justice Department and civil rights leaders. 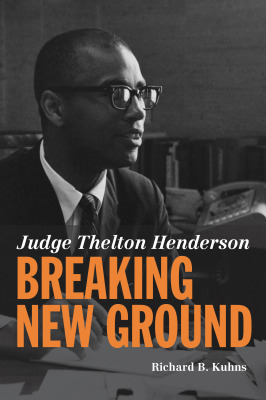 Later, Judge Henderson engaged in private practice, worked as a legal services attorney, and became an Assistant Dean at Stanford Law School, where he established one of the first successful law school minority admissions programs in the country. President Carter appointed him to the federal bench in 1980, and during his tenure Judge Henderson has issued a number of notable and sometimes controversial decisions. Judge Henderson has been the recipient of numerous honors and awards including the American Bar Association's Thurgood Marshall award, the Bernard Witkin Medal from the California Bar Association, and the Anti-Defamation League's Pearlstein Civil Rights Award. Richard B. Kuhns, Professor Emeritus, Washington University School of Law, is an expert on evidence and criminal procedure and the co-author if leading casebooks in those fields. Professor Kuhns was a public interest attorney in California. It was there that he met Judge Henderson ad practiced law with him at a legal services office in East Palo Alto. In 1776 we knew we were no longer subjects of the British Crown -- but then who were we? The word we created was "citizen." In July that year "citizen" was used for the first time in a public document, the Declaration of Independence. Eleven years later, in 1787, the newly enacted Constitution used the word ten times. But the word was undefined. We got by, except for one egregious fault: African Americans were not and could not be made citizens. Consequently we had the Civil War and enacted the Fourteenth Amendment which provided citizenship for African Americans. The Amendment defined for the first time -- for all of us -- precisely who is a citizen. Through the end of the 1890s the courts and government carried out the definition and the 1890s that work seemed done. Yet today there are approxiamately eleven million illegal immigrants who do not meet the Fourteenth Amendment standard and cannot be citizens. The problem is what now can be done? The process of naturalization, which comes out of Congress, is a solution -- though not a good one. 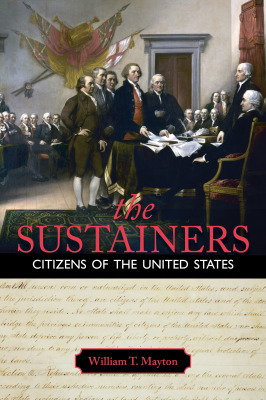 From 1776, from Jamestown and Plymouth Rock, to the present time, "The Sustainers" presents the history policy, and law of becoming a citizen. William T. Mayton taught constitutional law and administrative law at Emory University School of Law. Before law school he was a Navy pilot with service in Vietnam. Then he studied law at Columbia University, practiced law in Washington, D.C. and served as assistant counsel to the United States Senate Select Committee(the Watergate Committee). He is the author of numerouse articles on constitutional law and his book "Administrative Law" is in its 3rd edition with West Academic Publishing. workings of the team behind Brown. Jack Greenberg is Professor Emeritus Columbia School of Law. He was the Assistant counsel, NAACP Legal Defense and Educational Fund, 1949-61; director-counsel, 1961-84. 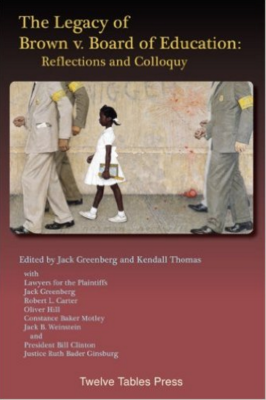 Argued before U.S. Supreme Court in forty cases, including Brown v. Board of Education, 1954, which declared "separate but equal" unconstitutional; argued other cases in the Supreme Court and other courts involving civil rights in all its aspects. Founder, Earl Warren Legal Training Program, Mexican-American Legal Defense Fund. Participated in human rights missions to the Soviet Union, Poland, South Africa, the Philippines, Korea, Nepal, and elsewhere. The legal battles over voting rights, the death penalty and the defense of Martin Luther King, Jr. 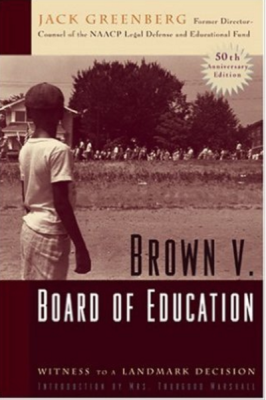 The lasting impact of Brown v. Board of Education, the LDF and its sister organization in protecting the rights of individuals in the U.S. and abroad. 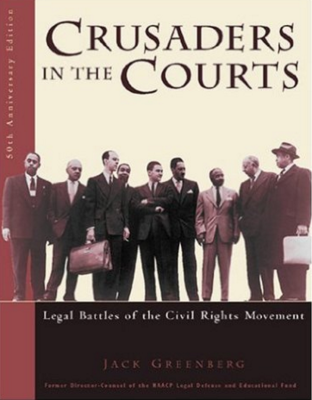 Including the comments of Kendall Thomas, Jack Greenberg, Robert L. Carter, Oliver Hill, Constance Baker Motley, Jack Weinstein, President Bill Clinton and Justice Ruth Ginsburg, this book offers the discussions, comments and questions about the legacy of Brown v. Board of Education celebrating the 50th Anniversary of the decision, during a series of meetings at Columbia Law School. Kendall Thomas is the Nash Professor of Law and co-founder and Director of the Center for the Study of Law and Culture at Columbia University in the City of New York. He is a co-editor of Critical Race Theory: The Key Writings that Founded the Movement (The New Press, 1996) and What's Left of Theory? (Routledge Press, 2000). 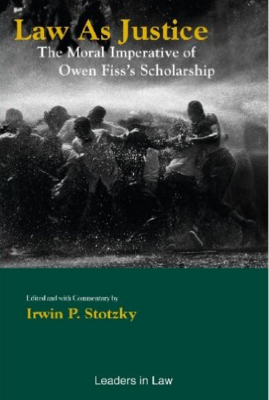 Owen Fiss's writings, exemplified in Law as Justice, advance the powerful principle that law is an expression of public reason and the practice of constitutional adjudication is crucial in determining the quality of our social life. His work represents the best ideals of the legal institutions that created the impetus for the most significant changes in the history of the republic, including, not least of all, the quest for racial equality. Owen Fiss is Professor Emeritus of Law of Yale University. He was educated at Dartmouth, Oxford, and Harvard. 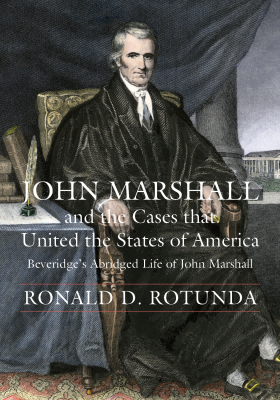 He clerked for Thurgood Marshall (when Marshall was a judge of the United States Court of Appeals for the Second Circuit) and later for Justice William J. Brennan, Jr. He also served in the Civil Rights Division of the Department of Justice. He is the author of many articles Troubled Beginnings of the Modern State, Liberalism Divided, The Irony of Free Speech, A Community of Equals,A Way Out/America’s Ghettos and the Legacy of Racism, Adjudication and its Alternatives (with Judith Resnik), The Law as it Could Be, andThe Dictates of Justice/Essays on Law and Human Rights. Irwin P. Stotzky is currently Professor of Law at the University of Miami School of Law. He received his J.D. from the University of Chicago Law School in 1974. For the past 31 years, he has represented Haitian and other refugees on constitutional and human rights issues in many cases, including several cases in the United States Supreme Court. Since 2000, he has served as the chairman of an international presidential commission to help Haiti confront its drug problems. He has published numerous articles and books on democracy and human rights, criminal law and procedure, and the role of the judiciary in the transition to democracy. For his representation of refugees in a series of cases before the United States Supreme Court and his human rights work abroad, he received human rights awards from the American Immigration Lawyers Association and the Haitian Refugee Center. He is the founder and Director of the University of Miami Center for the Study of Human Rights. He is a founding member of the Institute for Justice and Democracy in Haiti, a human rights institute that researches and distributes objective and accurate information on the human rights conditions in Haiti. For the Constituion to become law, it first had to be ratified by the states. Throughout the nation, however, the Framer's proposed new charter of government quickly engendered intense opposition. How was the opposition to be overcome, especially in the key battleground state of New York? Alexander Hamilton devises the strategy of defending the Constitution in a comprehensive series of essays, and he recruited James Madison to assist him in this effort. The result, The Federalist, a treatment of political theory so profound that Thomas Jefferson would later hail it "the best commentary on the principles of government which was ever written." 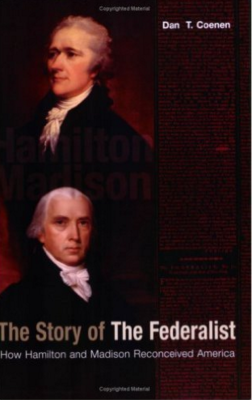 This book tells the story of the Federalist - how it came to be, what it had to say, and why it continues to guide constitutional thought to the present day. 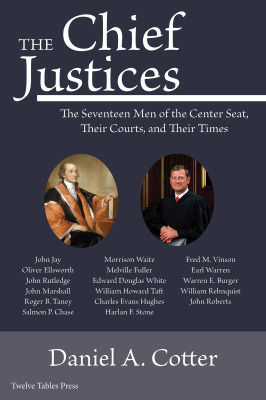 The book details how a nation was reconceived by Alexander Hamilton and James Madison in writings that remain the cornerstone of American Law. Dan T. Coenen has served on the Georgia Law faculty since 1987. He teaches in the areas of contracts and constitutional law. Coenen's scholarship includes: Constitutional Law: The Commerce Clause (2004), "The Originalist Case Against Congressional Supermajority Voting Rules" in the Northwestern University Law Review (2012), "Where United Haulers Might Take Us: The State-Self-Promotion Exception to the Dormant Commerce Clause Rule" in the Iowa Law Review (2010), "The Pros and Cons of Politically Reversible 'Semisubstantive' Constitutional Rules" in the Fordham Law Review (2009), "A Rhetoric for Ratification: The Argument of The Federalist and its Impact on Constitutional Interpretation" in the Duke Law Journal (2006), "The Rehnquist Court, Structural Due Process, and Semisubstantive Constitutional Review" in the Southern California Law Review (2002), "A Constitution of Collaboration: Protecting Fundamental Values with Second-Look Rules of Interbranch Dialogue" in the William & Mary Law Review (2001), "Business Subsidies and the Dormant Commerce Clause" in The Yale Law Journal (1998), "Suspect Linkage: The Interplay of State Taxing and Spending Measures in the Application of Constitutional Antidiscrimination Rules" in the Michigan Law Review (1997) (with Professor Walter Hellerstein) and "State User Fees and the Dormant Commerce Clause" in the Vanderbilt Law Review (1997). 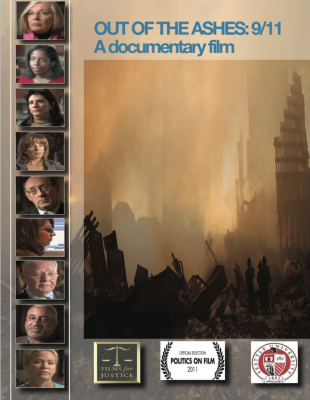 Professor Berger wrote, co-directed, and produced the documentary, Out of the Ashes: 9/11 which is about 9/11 families and their experiences with the Victim Compensation Fund and litigation. Eleven days after the terrorist attack, the federal government put in place the largest public entitlement program to compensate victims of terrorist attacks: The Victim Compensation Fund. Out of the Ashes: 9/11 highlights the stories of seven families and provides an unprecedented window into the psychology of harm and justice. The documentary explores key legal and societal issues such as: Was giving the claimants money a misguided failure or a lifeline to survival? Did the Fund undermine our legal system, or did it offer 9/11 families justice by avoiding lawsuits? DVD includes performance rights for classroom, trainings and non-commercial (free) public screenings. Commercial (fee-based) screenings prohibited. 2 hours, divided into chapters searchable by subject. Lessons from Woburn: The Untold Stories with Henry Wigglesworth (2000), The Rules of Procedure(2002), and Conduct and Settlement (2002). These documentaries are about a lawsuit,Anderson v. W.R. Grace, brought by families in Woburn, Massachusetts, alleging contamination of their drinking water. The original participants appear in the documentary, based on the lawsuit, and, the book about the lawsuit by Jonathan Harr, A Civil Action, and the Hollywood movie by the same name. The films are used in 100+ law schools. 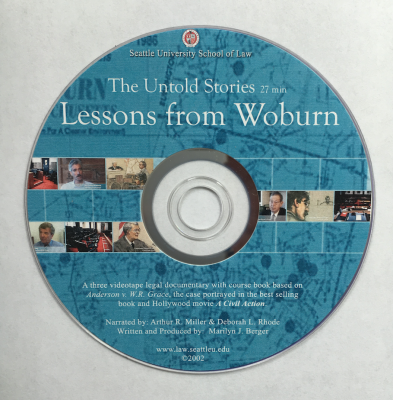 Lessons from Woburn is a complex and compelling educational tool. Learn more about the case: Anderson v. W.R. Grace. Did the truth come out in trial?